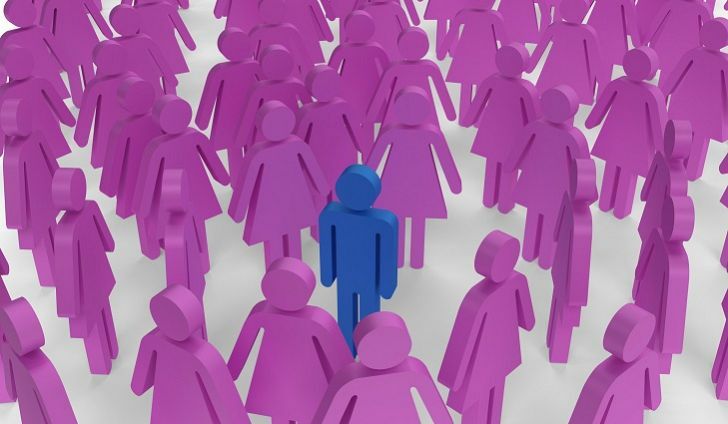 Bruce Tait, Chief Executive of Charity Careers Scotland and Fellow of the Institute of Fundraising talks about Gender Discriminsation in his latest article…. “Gender Discrimination Is Hindering Tech Industry Growth!” That was the headline in February when McKinsey Global Institute reported that women make up only 22% of game developers. The report was presented as a considerable challenge to the gaming industry, with many commentators comparing this statistic to another report showing that as many women as men played games. “A missed opportunity” was the general consensus. It’s not just the gaming industry. The technology sector in general is dominated by men. Less than one in five engineering or computer degrees go to women. The sector recognises this as a big problem and has recently launched numerous initiatives to interest women in technology and actively encourage them to pursue technology degrees and professions. In America, celebrities like Mayim Bialik (The Big Bang Theory) promote the idea of getting girls interested in Science, Technology, Engineering and Maths (STEM). In the UK, organisations like Women Who Code are working on getting women into IT. Other professions that are female dominated are teaching (only one in eight teachers are men) and childcare (where just 2% of staff are male). As with STEM, various groups and initiatives have been formed to redress this imbalance through research projects, social media drives, government careers programmes and advertising campaigns. So if these professions recognise gender imbalance as a serious issue, why doesn’t fundraising? On average, UK fundraisers are 78% female. But I don’t see any campaigns to redress this imbalance. I don’t recall a celebrity-led campaign to get more young men to consider a career in legacy fundraising. So why aren’t we looking at a clear and endemic gender imbalance in fundraising as a lost opportunity – not only to develop our profession, but to raise more funds for our causes? Is the reason for this sectoral shrug of the shoulders perhaps that it doesn’t affect donations? Well, I’m afraid it might. For each of the last nine years, considerably more women than men gave to charity – on average only 70% of men gave, compared to 79% of women. And while it used to be the case that men gave higher-level donations, the last three years have seen a reversal of this and now women give both more frequently, and at a higher level, than men. People might say that’s because women are naturally more generous. Perhaps, but is that all that’s going on here? As a mature profession, I think we need to dig a little bit deeper than that. Might it be the case that the high proportion of female fundraisers is itself attracting a higher level of female donors? “A lot of the received wisdom about direct mail within philanthropy, for instance, has it that you write very short, to-the-point letters to men, who ‘want the facts’. Women will be more bothered to read longer things, reacting to human interest stories and engaging far more with the subject. Men and women respond to different things and fundraising appeals inadvertently or not, can play to stereotypically ‘female’ sensibilities, hence more female donors”. Some charities have definitely understood this and use gender targeting to lower costs and raise more money. The Brooke animal welfare organisation receives three-quarters of its donations from women, and it makes perfect sense for them to involve gender in their fundraising strategy. So what might motivate men to give more to charity? According to recent research – it’s other men. University College London and the University of Bristol recently released a study showing that men give more money through fundraising websites after seeing that other men have donated large amounts. Sarah Smith, professor of economics at the University of Bristol, said the research showed that “men had an innate desire to signal that they were the most generous of their peers”. So doesn’t it stand to reason that if you want more men to give, get male fundraisers to ask them? And do it using messages that are more male focused than most fundraising currently is. “Charities clearly need to do more to motivate certain groups of society to get involved with charities in their communities, especially younger men. Fundraisers such as Movember and Tough Mudder have gone some way in catching the imagination of this group over the last few years, but there is clearly still some way to go”. I think part of the answer is to recruit more male fundraisers. Not just for “male-orientated” causes, but for all causes. I think that charities should take this seriously – not just as employers, but in terms of the fundraising opportunities that a more gender-balanced fundraising approach might offer. Be more open to bringing in skills from outside the sector. Some charities aren’t particularly keen on attracting people from other sectors – preferring to insist on sectoral experience when, arguably, someone with transferable skills from the public or private sectors might be as good a fit for some fundraising posts. So, because the sector is already gender imbalanced, recruiting exclusively from within it will perpetuate the imbalance. I’d like to see our professional body take the lead here.The Institute of Fundraising should be doing more work to encourage people to join our profession – through careers centres, universities, working with employers etc. When they do so they should be sure to specifically include careers messages that tell men that working in fundraising is fulfilling, challenging, and offers good career progression. The advice needs to ‘normalise’ male participation in the fundraising profession. One of the things that makes the voluntary sector so strong is that it has embraced flexible working. Many charities offer term-time working, compressed working, job-sharing, part-time work and home working. As a result charities have been able to tap into the huge talent base of women returning to work after starting a family. It now needs to develop the male equivalent to that approach. For example, might it be helpful to focus on promoting fundraising careers as a ‘second career’ option for older men? Aiming for a workforce that is diverse in age as well as gender could bring additional benefits to the fundraising performance. Routine recruitment materials should use positive images of men as well as women, and include messages designed specifically to appeal to men as a target group. We need to try to avoid ‘revolving door syndrome’. Recruitment is only part of the story: the studies on childcare found that, just as women in male-dominated professions experience isolation, pressures and prejudices, men in female-dominated professions like childcare experienced these too. It’s not always easy for a man to find his place as an equal in an all-female team, so do what you can to help him fit in by dealing with any negativity from female colleagues and encouraging open conversations about gender. It’s clear that we will not transform the gender imbalance of the fundraising profession overnight, but I think we need to accept that there is a problem here and turn it into an opportunity by taking ownership of the issue. And just so that I’m absolutely clear on this, I’m talking about the core of the profession – the community fundraisers, the corporate fundraising officers, the events managers. I’m not talking about our fundraising leaders, the fundraising directors. Because there is a different problem there. Successive studies show that there are slightly more women than men (51%) in fundraising director roles. But before we start patting ourselves on the back saying there is no glass ceiling for women in fundraising – consider this. If 78% of fundraisers are female, but only 51% of fundraising directors are female – there is a hidden gender imbalance going on there too.